Happy Monday, all! 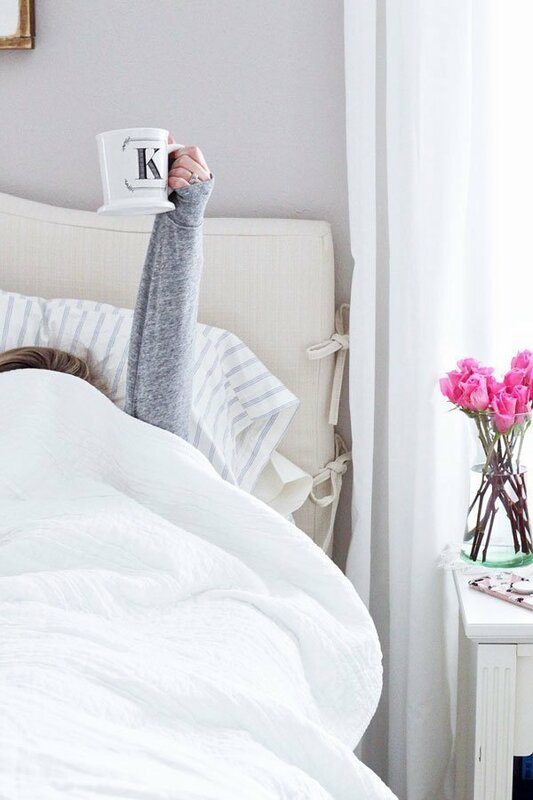 Okay, I know everybody probably is sick of hearing about the Nordstrom Anniversary sale by now, but let’s face it – we’re all still shopping and checking religiously to see if items have been restocked or added. (#guilty) Did anybody else seem to find shipping a bit slower this year? I finally received all my purchases over the weekend, and all items but one officially have been added to my closet! 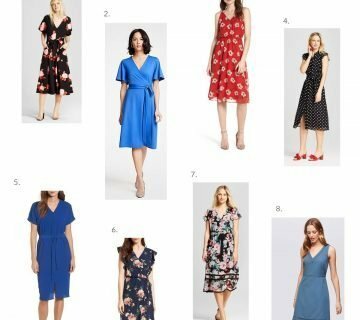 So, without further adieu, here’s my Nordstrom Anniversary Sale under $50 hits and a miss. Note: I linked to what I could, but some sizes/colors might be out of stock. Keep checking back, and you may get lucky! I first saw this lightweight sweater/top on Brie, and I knew that I had to have it. Duh, it’s neutral and has stripes. That’s a no-brainer when I’m shopping. 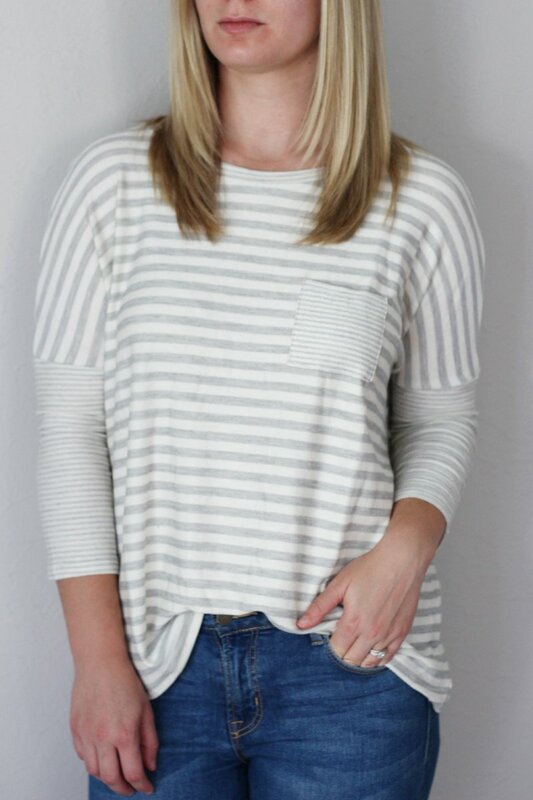 I love the stripe detailing on the sleeve, and it is such a comfortable top. It will be great for casual days and lounging around the house. Sizing: True to size (women’s). I’m wearing a Small. 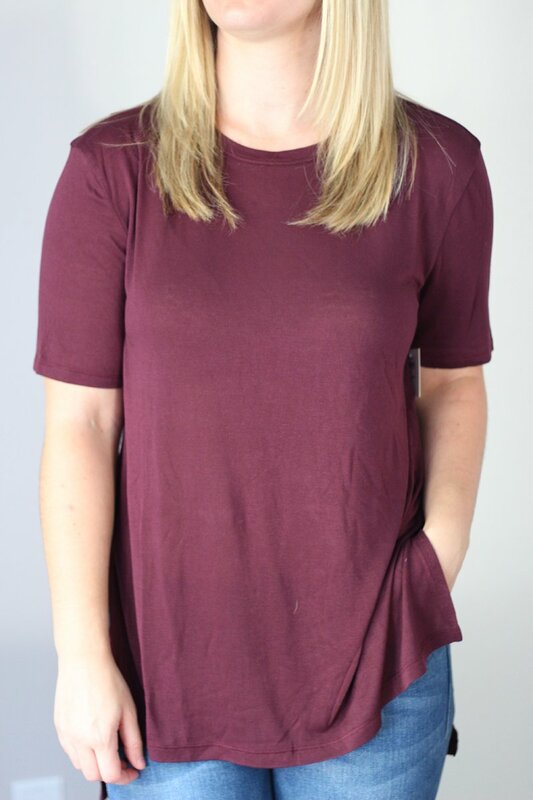 This is such a comfortable tee, and I’m a fan of the burgundy color for fall. I don’t have any other tops this color, so it was a good addition for me. I also am a fan of the length since I easily can pair it with leggings and still keep everything covered on my bottom half. My only gripe is that while the material is super soft, it’s slightly see-through. Since I’ll most likely pair this top with a scarf or jacket, I’m not too worried about it, but it’s something to keep in mind. Sizing: Runs true to size. I’m wearing a small. Why oh why didn’t I also order this in white while it was in stock in my size?! This is one that I can’t stop kicking myself for. 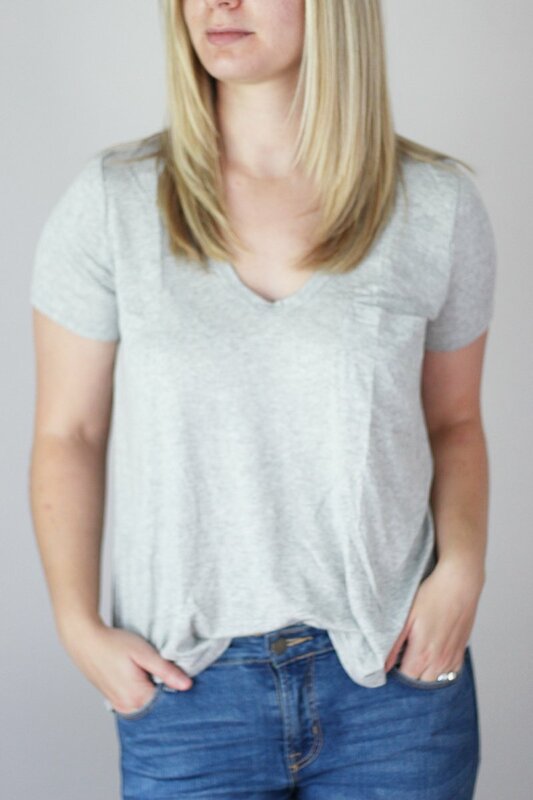 This tee has been on all blogger’s shopping lists for good reason – it’s a great fit, a flattering neckline, and ridiculously soft. I hope that I get lucky enough to scoop this up in other colors. Sizing: True to size. I’m wearing a Medium. This might be my favorite clothing purchase from the sale. 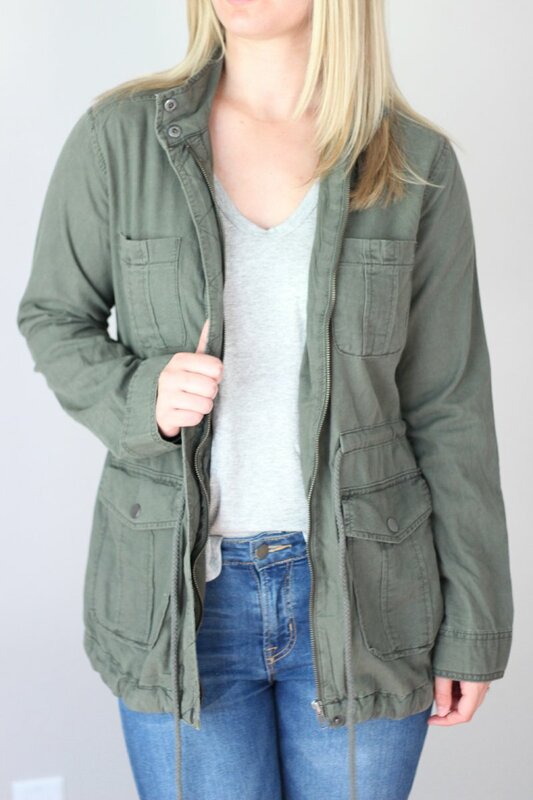 Since I’m so in love with my military vest, I knew that I wanted to add a jacket version to my closet for fall. And, at this price point, the quality can’t be beat. Sizing: It is oversized, so I sized down to a Small for a closer fit. 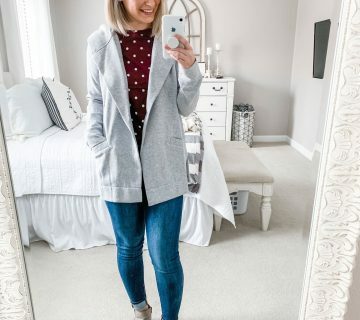 There’s a reason that everybody has been talking about this cardigan – it’s perfection! It is so soft and the perfect oversized-but-not-huge fit. I’m hoping that it gets restocked in my size in the color Tan Fog. Ryan couldn’t help but roll his eyes when he saw that I purchased yet another blanket scarf. But, hey – in my defense, I wear them almost daily in the colder weather, AND I don’t have one in these colors. Now I do! It’s so soft, and I love it. Um, hello my pretty. You might already have seen this on Snapchat (msinthemidwest) last week, and I am obsessed with this purse. It’s exactly the style and size that I was hoping for, and can we talk about that lining?! This will carry me (literally) throughout all of fall and probably most of winter. This was my first purchase from the Sole Society brand, and I’m definitely interested in making more – the quality is fantastic! I wanted to love this top because hello – plaid and neutral – but it just missed the mark for me. I’m super picky with flannels and plaid shirts, and it just didn’t feel right to me when I had it on. I’ve seen it on other people, though and it looks really cute. Sizing: True to size. I ordered a Small. 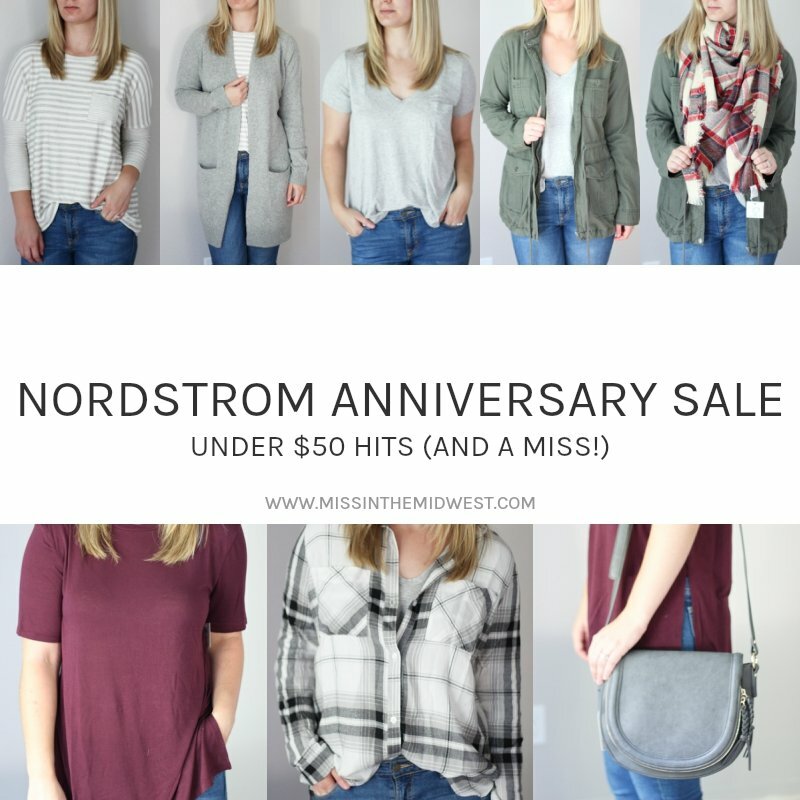 There you have it – my Nordstrom Anniversary Sale under $50 hits and a miss. Obviously, I’m glad that there were more hits than misses, and I can’t wait to move these pieces to the front of my closet come fall. If you’ve shopped the sale, what have you picked up and loved? Or not liked so much? 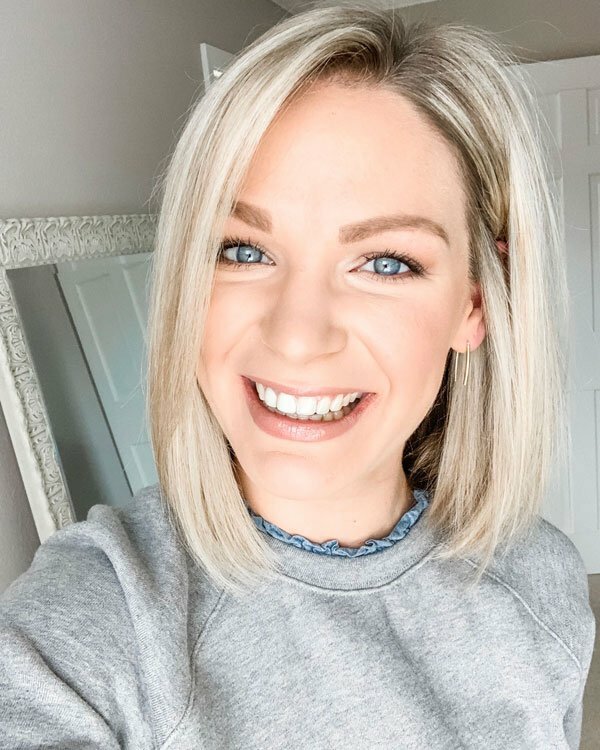 Leave me a link to your post if you blogged about your shopping spree – I’m enjoying seeing what everyone else has purchased! i am pretty picky with plaid and whatnot, which is why i own very little except for scarves lol. i love all the things you got and kept, the cardigan is my fave. i still haven’t bought anything from the sale, staying strong is hard! I snagged a couple of the same things! So excited about that BP cardigan! And that crossbody bag? 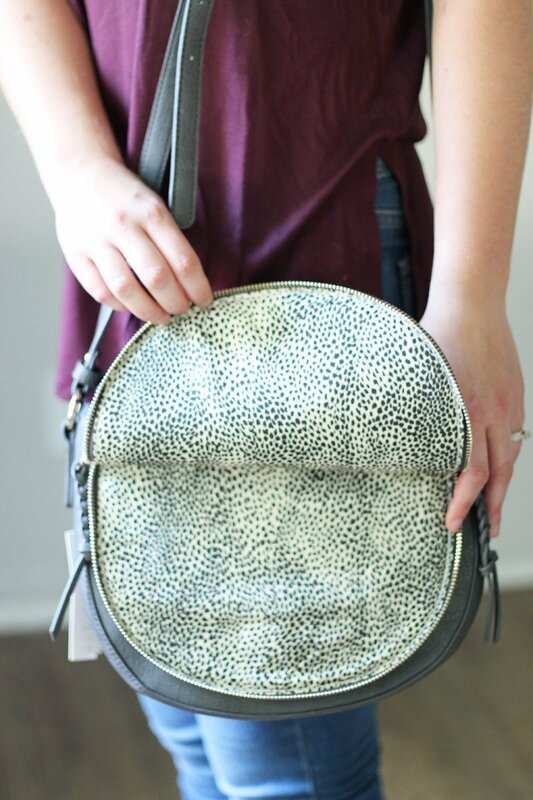 Oh my gosh it’s like a Chloe dupe! I love it! You also won on that cargo jacket too. You killed it girl! I’m glad it wasn’t just me! 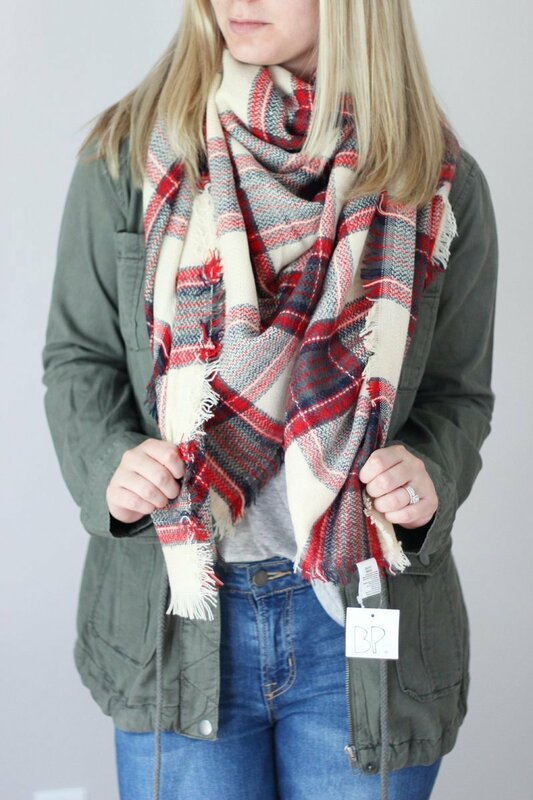 I was so mad when a lot of what I had on my wish list was sold out before I had access on Friday, but maybe that’s a sign that I need to get the card for next year… I love that blanket scarf so much! I’m pretty sure that it was on my list, but it was sold out. I’m going to check and see if it’s back in stock! I hope you were able to get a few things from your wishlist! Getting a card this year was so worth it. Now we can just pay it off, and even if we don’t use it until next year’s sale, that’s okay! Totally agree that the Lush v-neck is AMAZING. I ordered it in the olive green and am so mad that I didn’t just get all of the colors before they went out of stock! And yay for the military jacket, so glad you love it!! You and me both! I should’ve snagged the black and white while I still could. I’m glad to hear you liked the striped pocket t.. it’s been in my car for a few days and I’ve been waiting to pull the trigger. Yes! I hope you kept it, it’s one of my favorites that I got. I got that Sole Society purse in the burgundy and LOVE it!!!!! What a fab roundup girl. Yeah! Thanks to you is the reason that I even found that purse in the first place. I bet the burgundy color is gorgeous. Ohh I love everything! And only one miss is pretty good– I always hate when I find something I love and miss out on it in other colors, but hopefully you can scoop up another tee soon! I’m still keeping my fingers crossed! I especially love that jacket!! And the blanket scarf. I wish I could figure out how to style them properly, lol. It’s been so hot here, I’m ready for some fall weather already! Some are way easier than others to style! This one is still pretty bulky, but it lays nice so I don’t feel like I’m being choked lol. I love everything you picked out, all the clothes but especially the new purse! 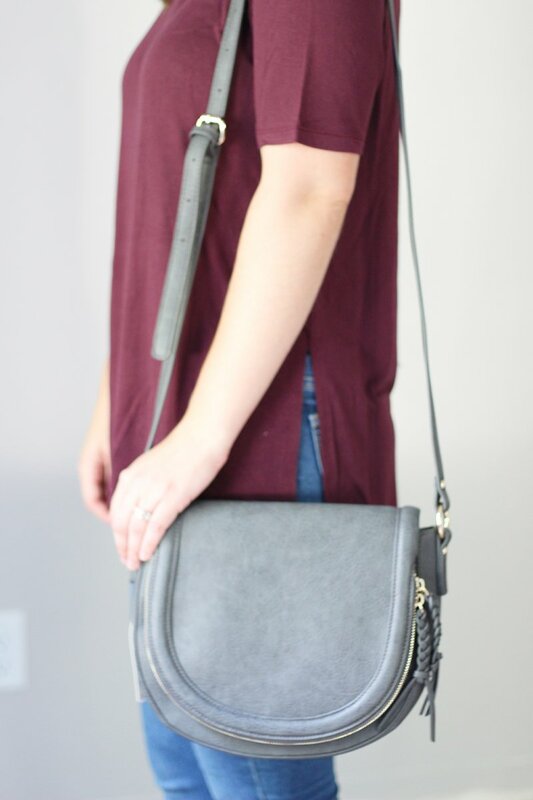 It has me thinking about getting a grey bag for the Fall, that color will go with anything and somehow doesn’t look as boring as my standard black purse. Since I can’t watch The Bachelorette in real time tonight, maybe I’ll be checking out the Nordstrom sale again! Grey does go with everything, it would be a nice change for you! Love what you got! 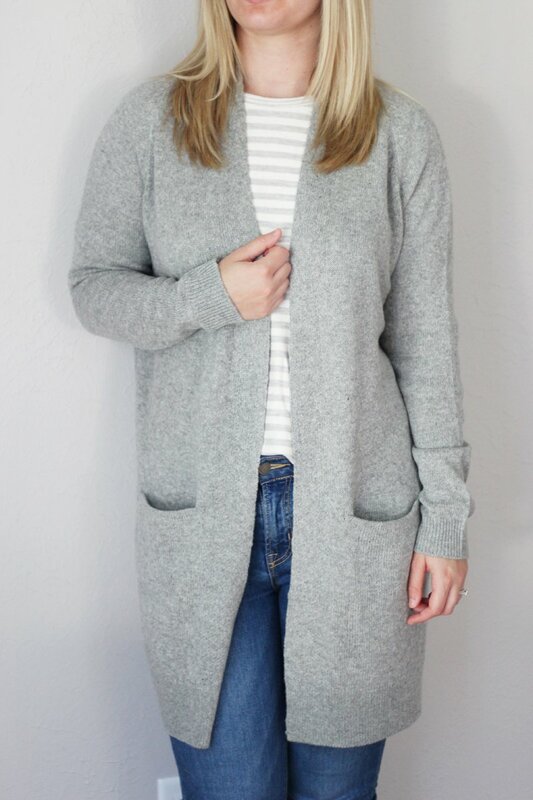 I snagged the same cardi in tan and wish I had ordered grey too. It’s been so hot here I can’t even think about wearing fall clothes haha. Chris bought some stuff at Nordstrom yesterday but I did not. I love all of your picks and only one miss is pretty good! 🙂 Hope that you had a nice weekend too! Lol I agree, the warm weather definitely doesn’t have me in the mood for fall. Love all your hits! One miss out of all those isn’t bad! So glad you were able to get the scarf that you were hoping for! I agree, I can’t wait to wear them both!